Tea is the second most-consumed drink in the world, preceded only by water. It is also very well known that tea is one of the healthiest drinks packed with antioxidants & various substances that are beneficial for health. Drinking tea helps in treatment of the ailments such as gastric, stress & blood pressure. For this blog we will be focusing on the role tea plays in controlling Diabetes. First things first, we need to have a basic understanding of what happens to a person who is suffering from diabetes. The food that we consume contains carbohydrates which get transformed into sugar (glucose) during the process of digestion. This sugar needs to be absorbed by the cells so that it can act as a fuel for our everyday life. Pancreas, an organ located in the human abdomen releases insulin which acts as a catalyst for this process. However when this process is hindered, it leads to diabetes. People suffering from diabetes have difficulty in metabolizing sugar. Diabetes is a disease that has reached epidemic proportions in the past few decades and now afflicts about 300 million people worldwide. This disease involves having elevated blood sugar levels in the context of insulin resistance or an inability to produce insulin. Green tea helps in reducing your blood sugar levels by sensitizing the cells, which improves their capability to metabolize sugar. In the fight against diabetes it is very important to maintain a healthy body weight. Green tea has been shown to inhibit lipolysis, the process by which dietary fats (triglycerides) are broken down in the body. 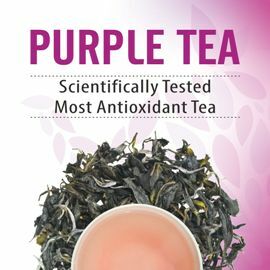 Inhibition of the breakdown of triglycerides prevents absorption of the fat, thereby ensuring you don’t gain much weight.The presence of antioxidant polyphenols in tea helps in reducing stress & widening arteries which is a good thing as it leads to reduction in cholesterol levels & decreasing blood pressure. Polyphenols in green tea can also help regulate glucose in the body. So next time you brew your tea avoid adding additives like sugar & milk to get the maximum advantages in the fight against Diabetes. It’s really very complex in this busy life to listen news on TV, therefore I just use internet for that purpose, and get the most recent information. Right here is the perfect web site for everyone who hopes to understand this topic. You realize so much its almost hard to argue with you (not that I really would want to…HaHa). You certainly put a brand new spin on a subject that’s been discussed for years. Wonderful stuff, just excellent!